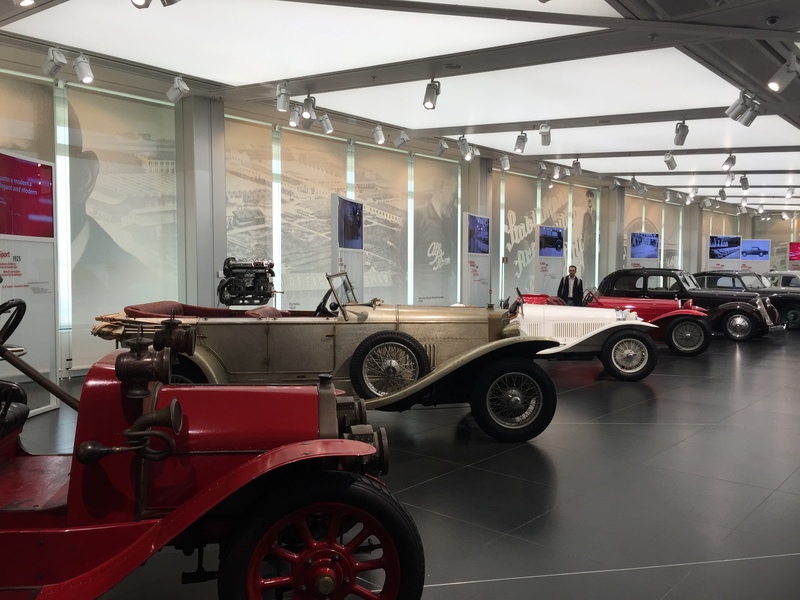 Before returning to the Netherlands, there was one more place I visited near Milan: The Alfa Romeo museum. My boyfriend is a big fan and the museum was completely renovated and re-opened the 30th of June 2015. We had a lot of luck, because the day we went was also the last day that one of the show models of the new Giulia was in the museum. The main theme of the interior of the museum is a ‘red line’. It starts outside with a sort of red carpet that leads you to the entrance. 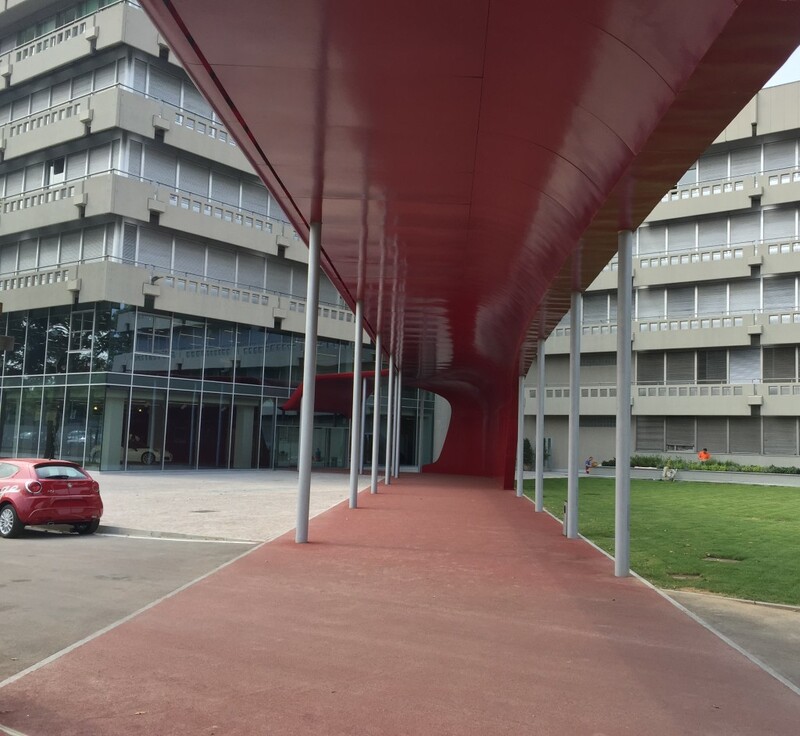 After purchasing your tickets you enter the museum by escalator, which from the exterior is hidden inside a giant red tube. Inside the museum the collection consists mostly of old cars (obviously). They are sorted by ‘theme’ and there is a lot of information available on the car itself and its role in the history of Alfa Romeo. There was also a special booth where they showed clips from movies which featured Alfa Romeo’s, which I thought was a nice touch. I am not much of a car fanatic, but my boyfriend is and watching the other visitors (mostly men) it was obvious that the information given was interesting and really adding a lot to the exhibit. From the top floor you slowly descended through the museum. 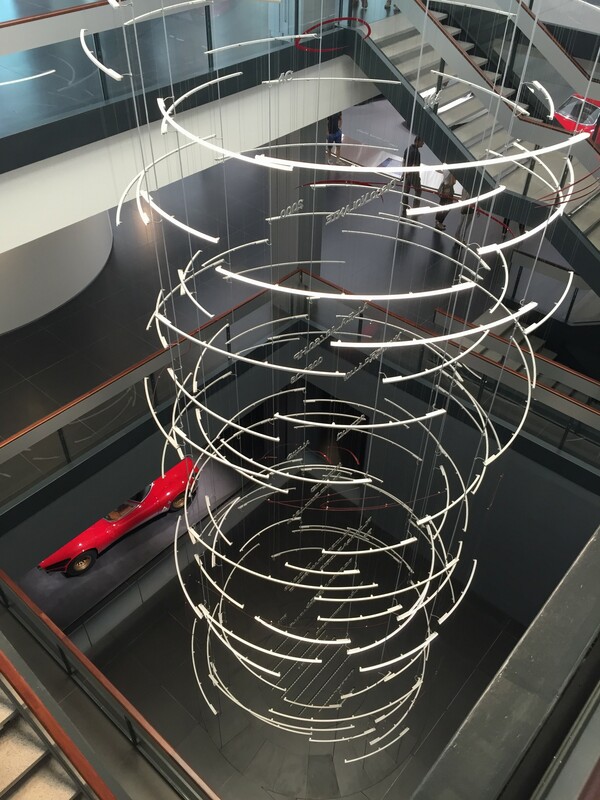 The above image shows the staircase which had a nice piece of light art in the middle with words relating to Alfa Romeo. 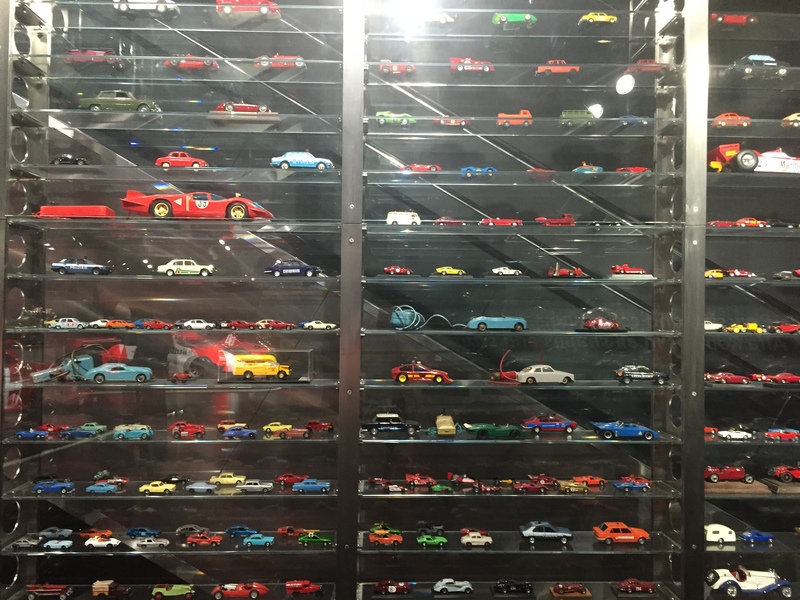 Something else that I really liked was this wall of small toy cars that hid another escalator. I thought it looked cute and showed that toy cars are just as important and special as real, big cars. The museum ends in the showrooms for Alfa Romeo and Jeep. I think this museum is definitely worth a visit if you came to Milan by car (since it is easiest to drive there) and if you are a car fanatic. The museum itself is also nice if you don’t like cars that much but came with someone who does. 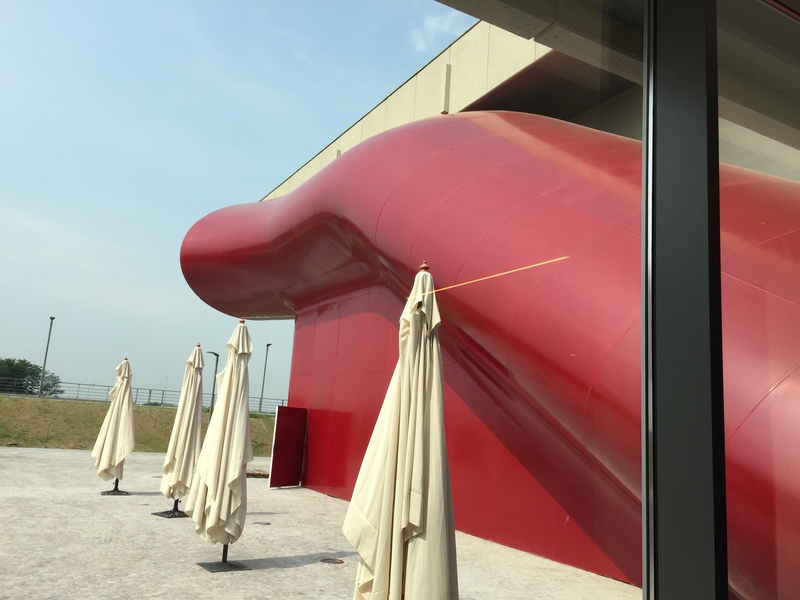 The museum is located in Arese and you can find more information on their website.